Indiana has “one party consent” law with regards to recording phone calls and wiretapping. Which means if you are a party to the conversation, you can record the call. According to Ind. Code 35 -31.5 – 2 – 176 and Ind. Code 35 – 33.5 – 5 – 5, it is a criminal offense to record a telephone conversation without the consent of just one of the involved parties. The law thus permits recording telephone conversation to which you are a party. If you aren’t a party of the call, that’s considered evesdropping and violates Indiana wiretapping laws. 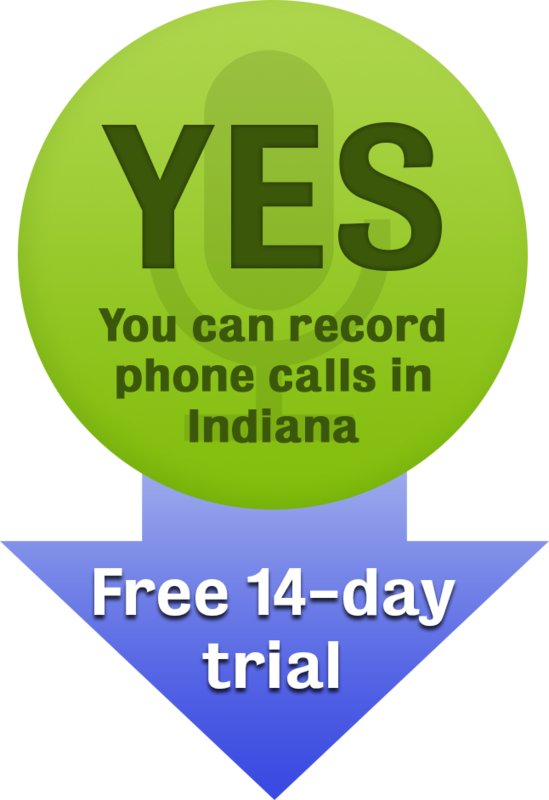 When in Indiana, you need the consent of just one party to record telephone conversations. This may not be the case when you are dealing with out of state calls. This is because there are some states (currently just 12) that require you to obtain the permission of all the parties involved in the conversation for you to do the recording. See the full list of one-party vs two-party consent states. Violating the Indiana wiretapping law may expose you to criminal prosecution as well as civil lawsuits for damages by the aggrieved party. These might be in addition to taking care of the legal fees and the litigation fees. Other than stating “electrical, mechanical and other devices” in recording phone conversation, the Indiana wiretapping law does not state the specific means of making the recordings. With Secure Speak, we give you a phone number that you can 3-way into any call. Whatever this number hears gets recorded, and emailed to you when you hangup. We’re currently offering free 14-day trials for new customers, so sigup and record a free call! Secure Speak is not a licensed lawyer and any statements do not constitute legal advice. Contact a lawyer for information pertaining to your specific case, and reference Ind. Code 35 -31.5 – 2 – 176 directly.